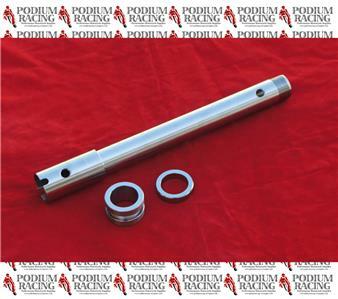 This listing is for a TITANIUM SILVER/NATURAL front axle & Titanium Spacer for the Ducati 2014 & 2015 848 model years only. This axle is equivalent to Ducati OEM part number 81910431A. This axle is super light weight at only 200 grams, (7ozs). This is a great upgrade and works together with our titanium front and rear titanium axle nuts. 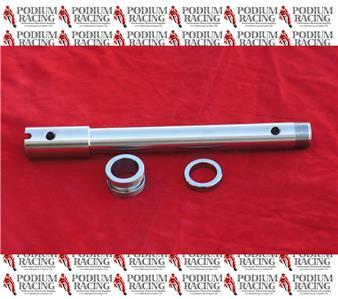 Please see our other listings for a matching titanium front axle nut. Changing the cheap plated standard Ducati hardware is a quick and easy upgrade for all Ducati’s. Titanium is lighter and really adds a unique look to your Ducati.